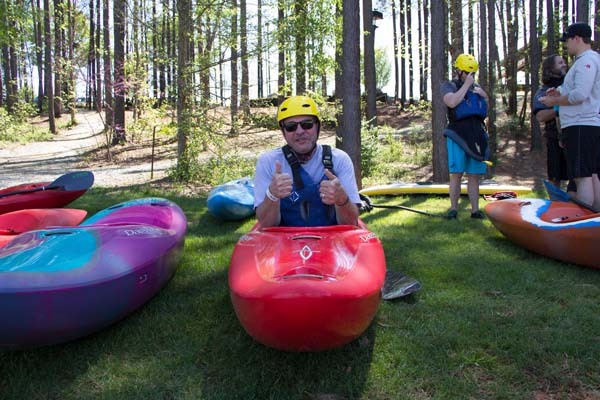 We caught up with him for his take on joining Confluence and the paddling industry. How psyched are you to be heading up the industry’s largest paddlesports company? Krause: “I’m thrilled and excited to join Confluence Outdoor. It has such great brands and reputation, and a lot of great people in the company. The team has come together really well. We have a great team getting me up to speed quick. Any immediate plans/changes for the company? Krause: There’s a lot of upside in active brands, as well as in our business. I’ll probably do a little more on the marketing and mission side. But it’s a great company and we want to make it greater. What are the biggest challenges you see for the company ahead, as well as for the industry as a whole? Krause: One thing that concerns me as an industry is that there is so much opening price stuff out there. I’m not picking on anybody, but consumers are getting into some of this product and finding out it’s not a comfortable boat, or doesn’t turn well, and that reflects on all of us as far as growing the sport. But I love enthusiastic, passion-driven consumers, whose products and brands become part of their lives. I also love the whole fraternity of paddlesports, and the many, many benefits of our boats making it easier for consumers. What are your thoughts on the current tradeshow issues affecting the paddling industry? Krause:We’re trying to look at different things to see what we can do. Our earlier decision regarding OR had mainly to do with timing manufacturing-wise than anything else. But as an industry leader, I feel we need to be at OR. My objective is to get in front of as many people and retailers as possible. What are some of Confluence’s strengths? What’s it doing well, and what could it do better? Krause: They’re all terrific brands and products, and we have a great team and phenomenal dealers. We also have terrific customers. So there are a lot of good things going. It’s running great, and we just want to take a great company and make it even better. 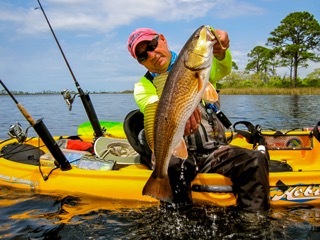 How do you like the paddlesports industry? Krause: It’s a great community and category, from the customers and dealers even to the competitors. I’m thrilled and honored to be a part of it. It’s growing, and we want to help it grow even more. 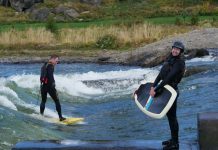 Does your own business background help you adapt to the paddling industry? Krause: One of my past positions was running FeraDyne Outdoors, the world’s largest hunting company whose brands incude Rage Broadheads, TrueFire, Glendale Targets, archery and bow hunting brands and more. It had 14 brands, 12 of which were each number one in their category. We grew them through new products and innovation, which is what we plan to do at Confluence. Any similarities between the paddling industry and the hunting and confectionery industries? Krause: When you get into passion-based activities, there are a lot of similarities and differences. The brands are in consumers’ heads and these consumers live to have these companies give them what they want in performance. That’s what I love about these activity-based businesses. With broader categories like the food industry, it’s different in how you go about reaching the market; you cast a wide net at a lot of people. Here, we know how many consumers there are, so we can embrace them easier. It’s different with consumer-passion brands. I like delighting them instead of convincing them. How do you plan to stay ahead of the competition? Krause: In any business you have to have constant innovation across the enterprise, from your products to how you ship. We plan to be very innovative with our approach to everything; that will be a hallmark of the company. How are your leadership skills different than Sue’s? Krause: Sue and her team were great. She comes from a similar background, with product development work. There’s a lot of alignment with how we manage. But I’ve done marketing and advertising a little differently. I’m very consumer and customer-centric, and am looking for opportunities to engage consumers. We plan to take some of the great things they’ve done and make them better. But I’m still in the learning phase. 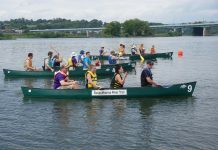 Do you have a paddling background at all, and any other outdoor hobbies? Krause: I took my first whitewater lesson the other day at the Olympic Training Center. I spent most of my time upside-down, but I loved it. We had a bunch of our team there, which was great. I’ve paddled quite a bit before. We have a lake in Minnesota, where we have a couple of kayaks, and I’ve also paddled in places like Hawaii and San Diego. I’m going to try and become an avid paddler now. I also like to hunt, bike, fly-fish, ski and play tennis.